GROHE now makes it easier than ever for you to find the perfect combination of washbasin and faucet – with the GROHE BestMatch website and app for iOS & Android. 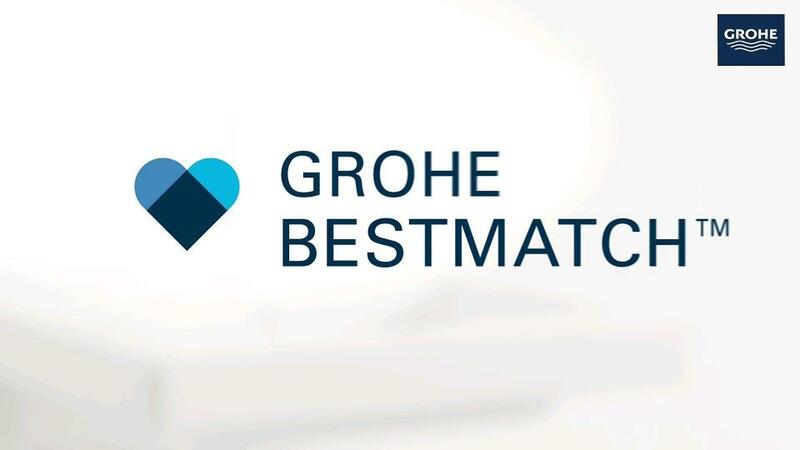 Regardless of whether you are looking for a washbasin to fit your desired GROHE faucet, or an exclusive GROHE faucet for your washbasin, with GROHE BestMatch™ you’re guaranteed to find just the right combination. With GROHE BestMatch, you can easily browse through all the various pre-tested combinations in the comfort of your own home. How about an oval washbasin with a faucet featuring the modern GROHE Essence design? Or maybe a square washbasin with an elegant GROHE Allure faucet? You can choose among popular washbasins from six top brands as well as a large selection of GROHE basin mixers. Only those combinations that pass the design match & technical test make it into GROHE BestMatch. So you can count on the GROHE BestMatch results one hundred per cent!